We’ve showed you some of the vast flat fields around Klamath Falls, that were formed by one or more volcanoes in the ancient past. 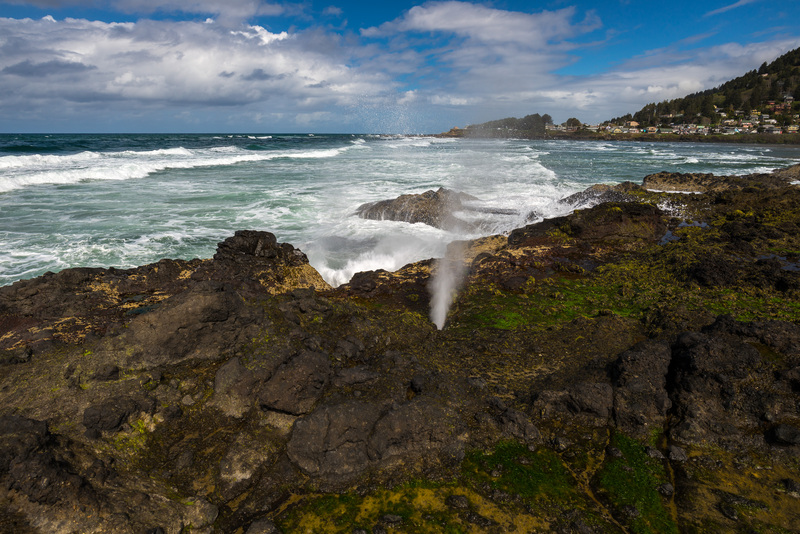 Here on the coastline, there’s more evidence of that history. Check out this small hole…about the size of my fist…that is the end on land of a tube that obviously begins at the water’s edge. Whenever the tide is right and a wave is right…. 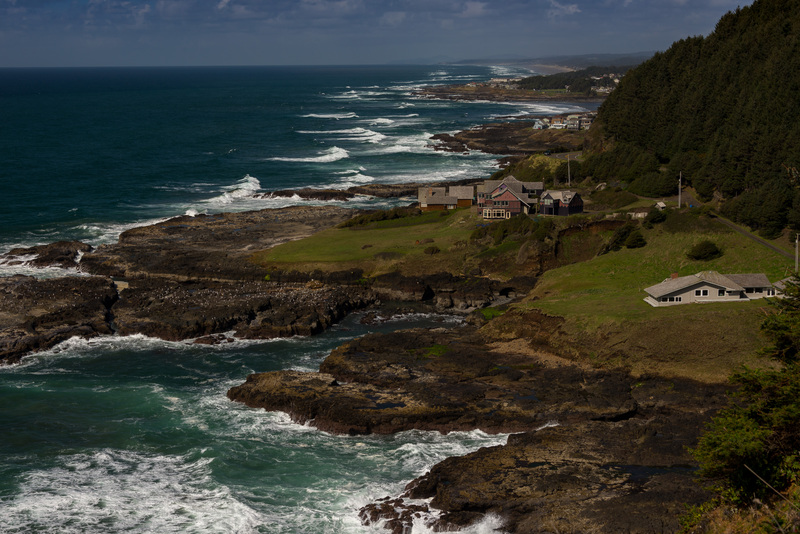 That’s Yachats in the background. Cool town. Luna Sea Fish House. Nearest town to Thor’s Well (I bet you thought I’d forgotten that place…). See if this picture along the coastline at this point gives any further evidence of the volcanic past.